In the event of an allergic reaction - such as shortness of breath, rash, hives, vomiting, diarrhea, mucous or blood in the stool, swelling of the lips, tongue, or face, and unusual bleeding or bruising - contact your veterinarian immediately. What is the most important thing I should know about Cephalexin? Cephalexin is an antibiotic belonging to a class of drugs called cephalosporins that fight bacteria in the body. Cephalexin can be used to treat infections such as bronchitis as well as ear, skin, and urinary tract infections. Cephalexin may also be used for purposes other than those listed. What should I discuss with my veterinarian before giving Cephalexin to my pet? Tell your veterinarian if your pet has ever had an allergic reaction to another penicillin or to a cephalosporin. Tell your veterinarian if your pet has kidney disease, or a stomach or intestinal disease. Tell your veterinarian if your pet is pregnant or lactating. Cephalexin liquid suspension contains sucrose which may affect the treatment of diabetic pets. How should Cephalexin be given? Give this medication exactly as directed by your veterinarian. Cephalexin can be given with or without food. Give all of the cephalexin even if your pet appears to be better. Symptoms may improve before the infection is completely treated. Store capsules at room temperature away from moisture or heat. Store the liquid suspension in the refrigerator. Discard any unused liquid suspension after 14 days. What are the potential side effects of Cephalexin? Stop giving cephalexin and seek emergency veterinary medical care in the event of an allergic reaction (shortness of breath; hives; swelling of the lips, tongue, or face; rash; or fainting), severe nausea, vomiting or diarrhea, mucus or blood in the stool, or unusual bleeding or bruising. Other less serious side effects such as mild nausea, diarrhea, or yeast infection may be more likely to occur. Continue to give cephalexin and notify your veterinarian if these symptoms occur. Talk to your veterinarian about any side effect that seems unusual or bothersome to your pet. What happens if I miss giving a dose of Cephalexin? Give the missed dose as soon as you remember, then try to evenly space the rest of the doses for that day until you can return to a normal schedule. Do not give a double dose unless otherwise directed by your veterinarian. What happens if I overdose my pet on Cephalexin? 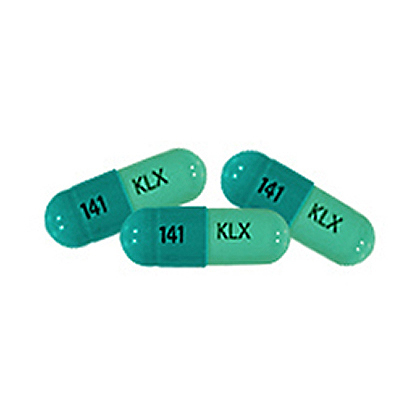 An overdose of Cephalexin may result in vomiting and/or diarrhea. If you suspect your pet has experienced an overdose, consult your veterinarian or emergency veterinary clinic. What should I avoid while giving Cephalexin to my pet? There are no restrictions on food or activity during treatment with cephalexin unless otherwise directed by your veterinarian. Before giving cephalexin, tell your veterinarian if your pet is being given another antibiotic (for the same or a different infection), probenecid, or a loop diuretic such as furosemide or warfarin. You may not be able to give cephalexin or you may need to have the dosage adjusted. Drugs other than those listed here may also interact with cephalexin. Talk to your veterinarian or pharmacist before giving any prescription or over-the-counter medicines, including vitamins, minerals, and herbal products. 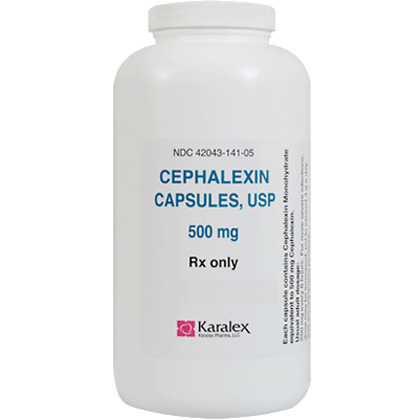 Cephalexin is a broad spectrum prescription antibiotic used to treat bacterial infections of the respiratory tract (such as bronchitis), skin, urinary tract, bones and joints. Give all of the Cephalexin that was prescribed for your pet. Symptoms may begin to improve before the infection is completely treated. When mixed with 71 ml of water, each teaspoonful (5 ml) contains 250 mg of cephalexin. After mixing, store in the refrigerator and shake well before using. Discard any unused medication after 14 days. Store capsules at room temperature away from moisture or heat. Store the suspension (liquid) in the refrigerator. Other Ingredients: Colloidal silicon dioxide, FD&C Red No. 40, Sodium benzoate, Strawberry flavor, Sucrose, Xanthan Gum.